Even though it’s 25 degrees outside in Alabama, mosquito season is just around the corner. I figured this 80mm grenade launcher should do the trick, right? 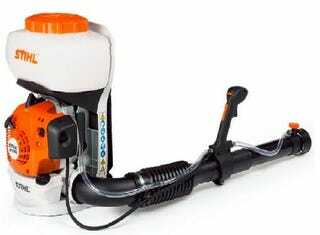 Seriously, though, I tallied up the cost of our mosquito service and figured this blower/sprayer will pay for itself this summer, including the cost of fuel and Bifenthrin chemicals. The question is whether I’ll actually get off my duff and use it. But it already looks like so much fun, I can’t imagine letting it just sit around. Die, you bloodsuckers!